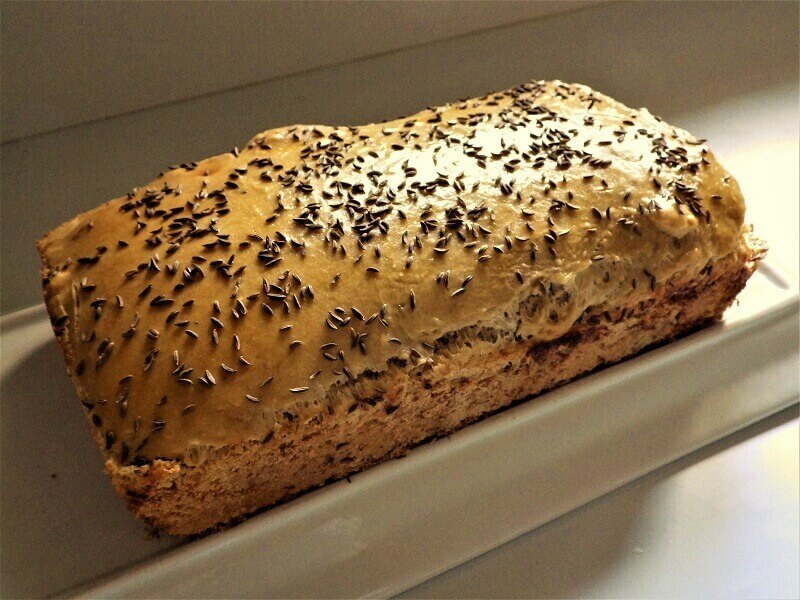 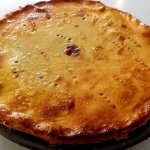 This is a popular Eastern European Bread Recipe that has caraway seeds as a dominant flavor note in a traditional rye bread. 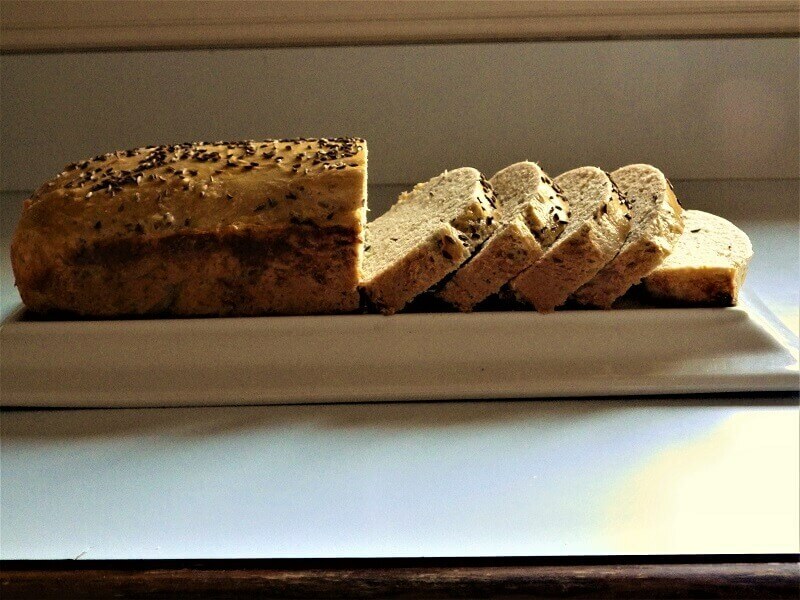 The caraway is noticeable both in the flavor of the bread and as a crispy topping. 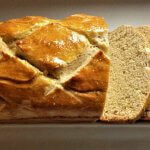 It makes a great sandwich bread and is often served with robust soups and salads. 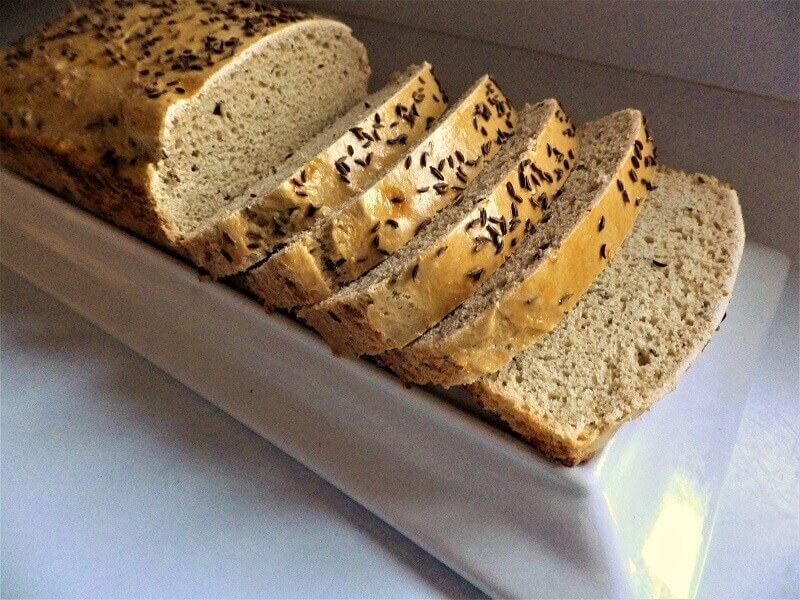 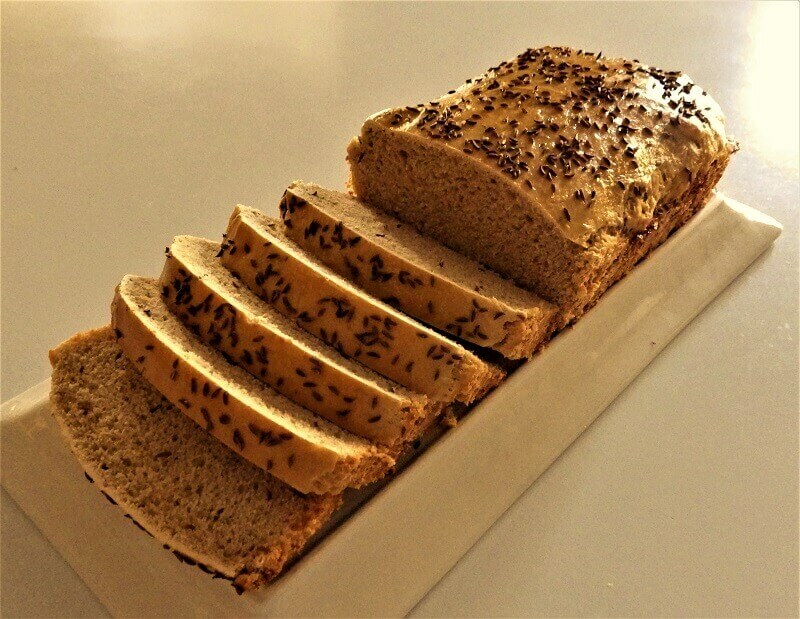 We’ve covered variations on this recipe both as a delayed-cycle bread and another rye bread topped with sauerkraut. 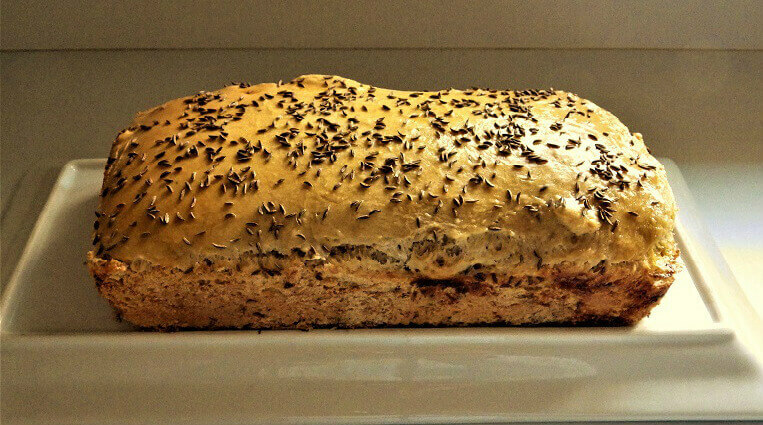 This is the traditional rye that’s still considered to be a family favorite in Eastern Europe, and it’s easy to make in your bread machine. 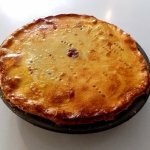 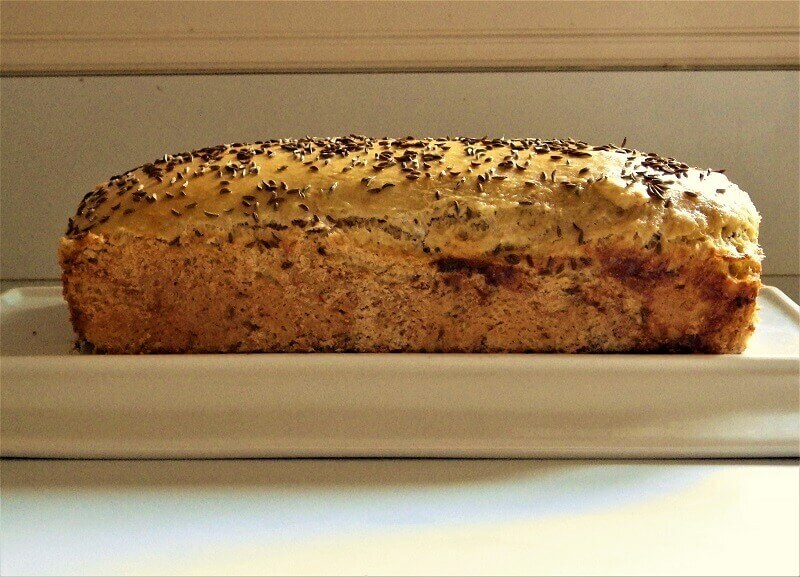 Place the ingredients into the bread pan in the order indicated and select wheat-course, 1.5-pound loaf and dark crust. 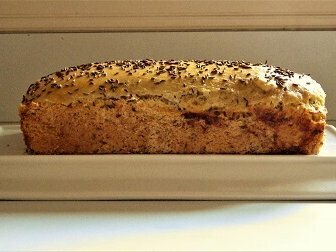 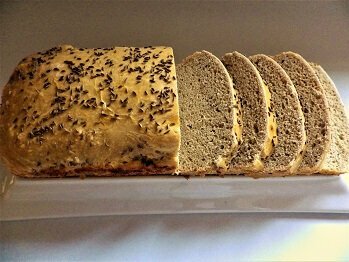 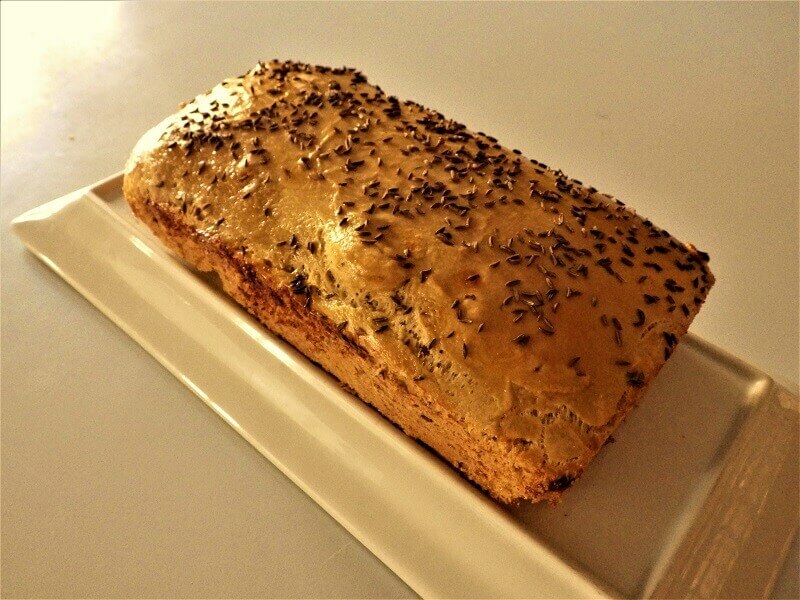 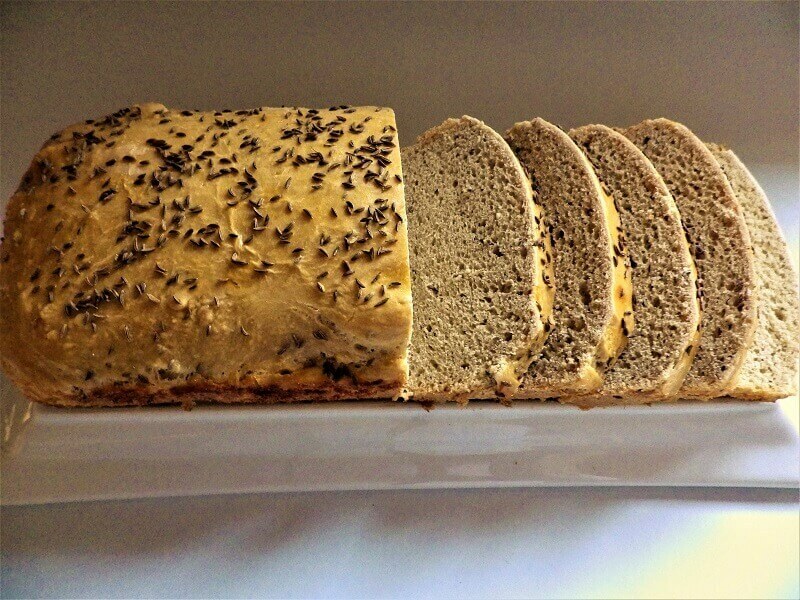 After the rising cycle baste the top of the loaf with whisked egg yolk and sprinkle with caraway seeds.